His research interests are in the area of networked control systems, cyber-physical systems, large scale networks, distributed algorithms, and applied graph theory. He studies how the underlying network structures, often abstracted as graphs, influence the overall network dynamics. He is also interested in the resilience and security issues in large scale infrastructure networks including traffic, water, and power networks, and has worked on problems related to the efficient monitoring and protection of such systems against random failures as well as strategic attacks. 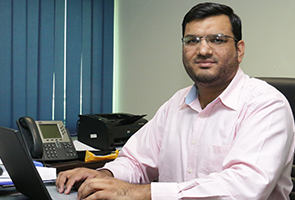 Dr. Waseem Abbas is currently associated with the Department of Electrical Engineering at Information Technology University, Lahore as an Assistant Professor. Prior to that he was a postdoctoral research scholar at the Institute for Software Integrated Systems at Vanderbilt University, Nashville, TN. 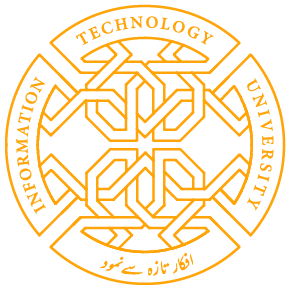 He completed his PhD and MS, both in Electrical and Computer Engineering, from Georgia Institute of Technology in 2010 and 2013 respectively, and his BS (with honors) in Electrical Engineering from UET Lahore in 2007. He was nominated for the postdoc of the year award (2016) at Vanderbilt University, and was granted a Fulbright fellowship for MS and PhD studies. He has published more than 25 papers in peer-reviewed journals and conferences, and collaborates with research groups across various international universities. W. Abbas, A. Laszka, and X. Koutsoukos, "Improving Network Connectivity and Robustness Using Trusted Nodes with Application to Resilient Consensus," (Conditionally accepted) IEEE Transactions on Control of Network Systems, 2017. W. Abbas, A. Laszka, Y. Vorobeychik, and X. Koutsoukos,"Scheduling Resource-Bounded Monitoring Devices for the Detection and Isolation of Events in Networks," IEEE Transactions on Network Science and Engineering, 2017. A. Y. Yazicioglu, W. Abbas, and M. Egerstedt, "Graph Distances and Controllability of Networks,", IEEE Transactions on Automatic Control, vol. 61, 2016. A. Laszka, W. Abbas, and X. Koutsoukos, "Scheduling Battery-Powered Sensor Networks for Minimizing Detection Delays," IEEE Communications Letters, 2017. P. Sela, W. Abbas, X. Koutsoukos, and S. Amin, "Fault Location Identification in Water Distribution Networks - A Minimum Test Cover Based Approach," Automatica (Elsevier), vol. 72, pp. 166 - 176, 2016. W. Abbas, M. Egerstedt, C.-H. Liu, R. Thomas, and P. Whalen, "Deploying Robots with Two Sensors in K(1,6)-free Graphs," Journal of Graph Theory (Wiley), vol. 82, no. 3, pp. 236 - 252, 2016. W. Abbas and X. Koutsoukos, "Efficient Complete Coverage through Heterogeneous Sensing Nodes," IEEE Wireless Communication Letters, vol. 4, 2015. Tech to Teaching: Higher Education Pathway Advanced Certificate awarded by the Georgia Institute of Technology, Atlanta, GA (2014).